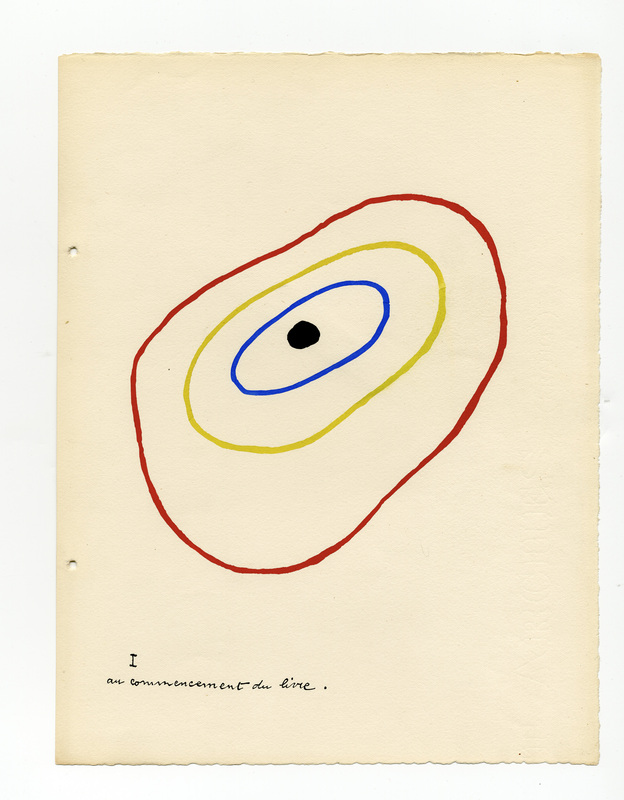 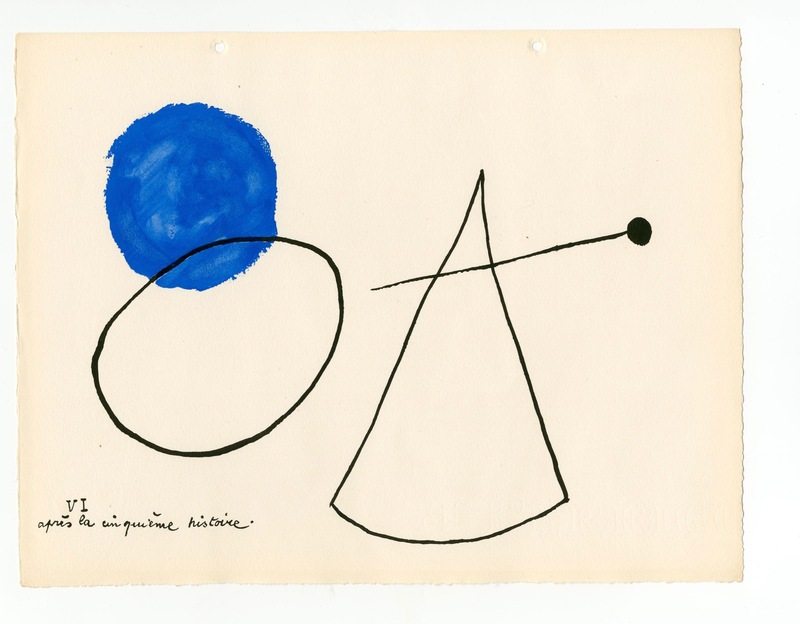 Miró is inspired by his dreams and opens the door to his poetic universe, transforming the world around him with an apparent simplicity of means, whether it be a symbol, the tracing of a finger, a seemingly fragile line on the canvas or an insignificant object paired with another. 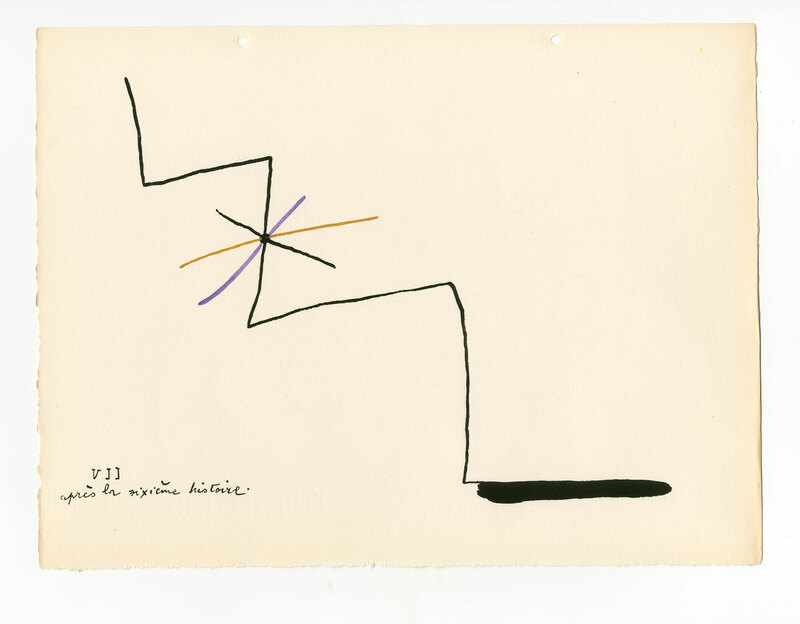 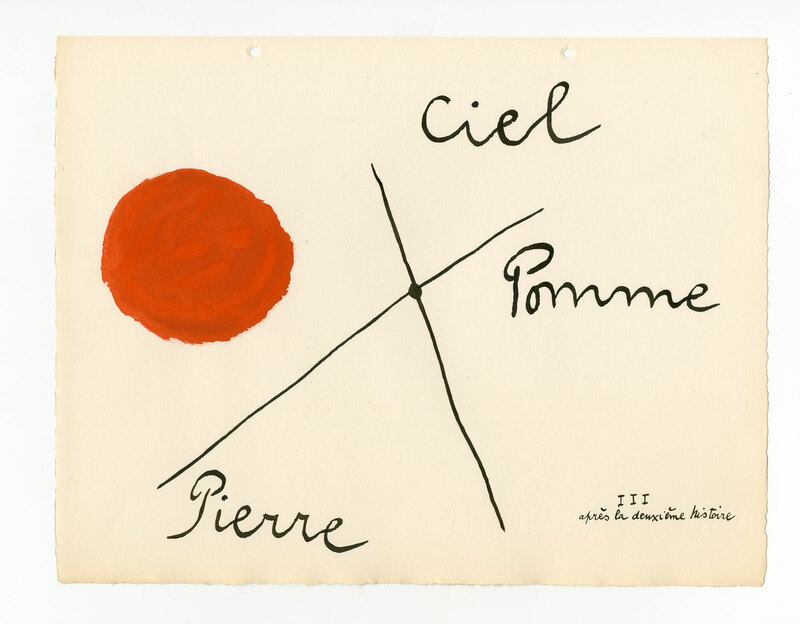 From these surprising combinations and unusual connexions, the artist produces a universe of poetic metamorphoses, a true re-enchantment of our world. 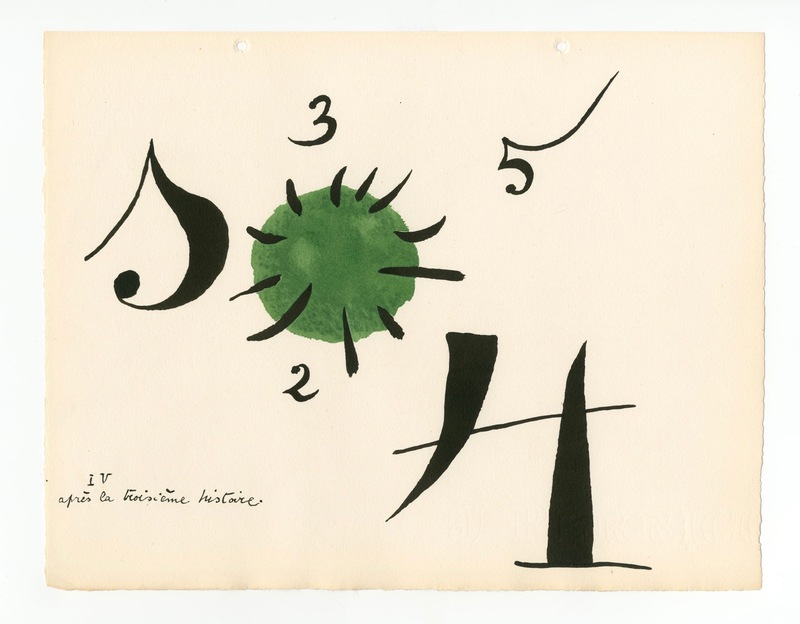 This retrospective presented at Grand Palais traces the technical and stylistic evolution of the artist, bringing together 150 works covering 70 years of creation. 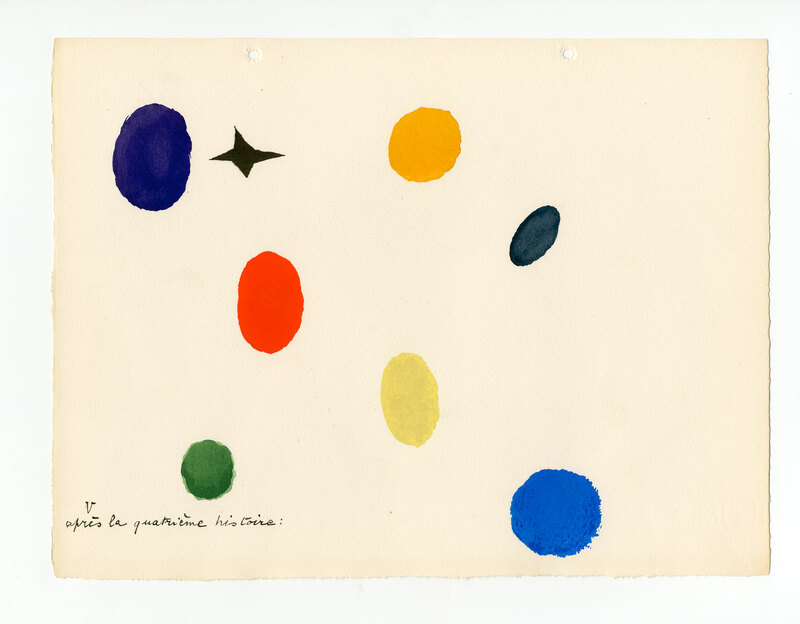 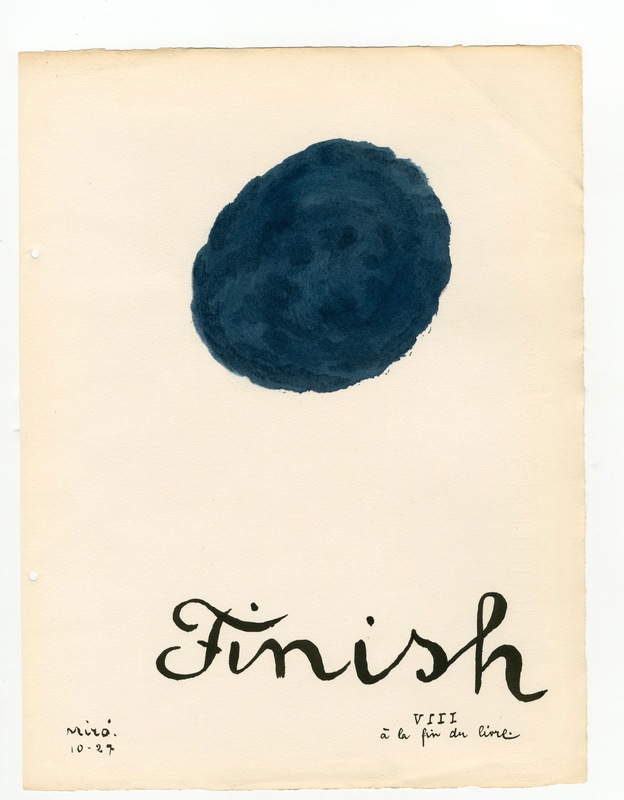 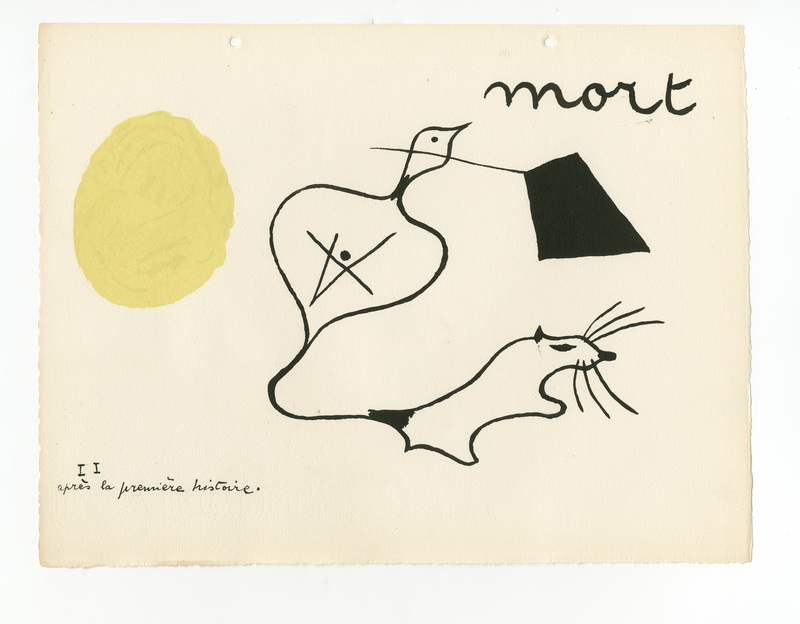 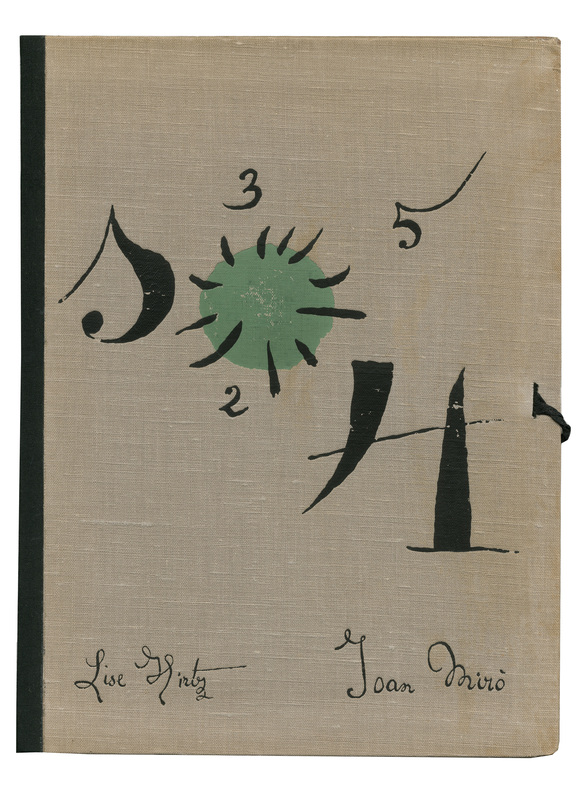 For this occasion, the gallery lends the book Il était une petite pie, written by Lise Hirtz ans illustrated by Joan Miró, published by Galerie Jeanne Bucher in 1928.